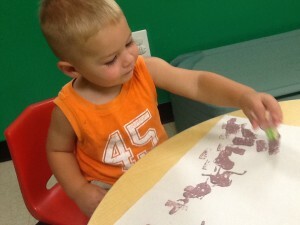 Our 2 year old class learns about letters, numbers, colors, shapes, and sounds. 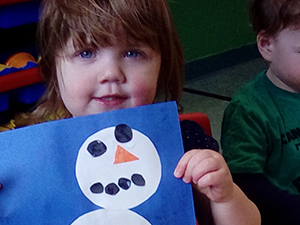 We work very closely with the toddlers to increase their vocabulary and continue to build on their self-help skills. The children are encouraged to make their own decisions taking into consideration the classroom community. We help develop their fine and gross motor skills with puzzles, legos, balance beam and bikes! We have fun all day! Find out more about Ms. Ari and Ms. Jasmine Our Toddler Two Teacher. Our iPad learning program teaches each child in our Toddler 2 Class numbers, letters, spacial relations, 1 to 1 correspondence, size, shape, patterning... all of the early literacy and early math skills in a fun way.